We are a family owned company with deep roots in Hialeah. 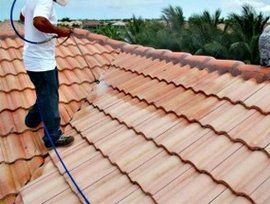 When it comes to knowing South Florida roofing and how to maintain it, Hialeah Roof Repair compares to no other. We set our self apart as the premier source for Reliable, Affordable customer care based Roofing Services. When you call us for your Free Roofing Inspection we send our technicians to your home right away. Our Roofing technicians are skilled tradesman who excel in providing the best possible outcomes for our clients. They listen to your concerns and also provide you with reliable and trustworthy industry standard information and options for the best result for your home. Our goal is to provide you services that help you to keep your Home a Safe Haven and to Protect your Investment for many years to come.